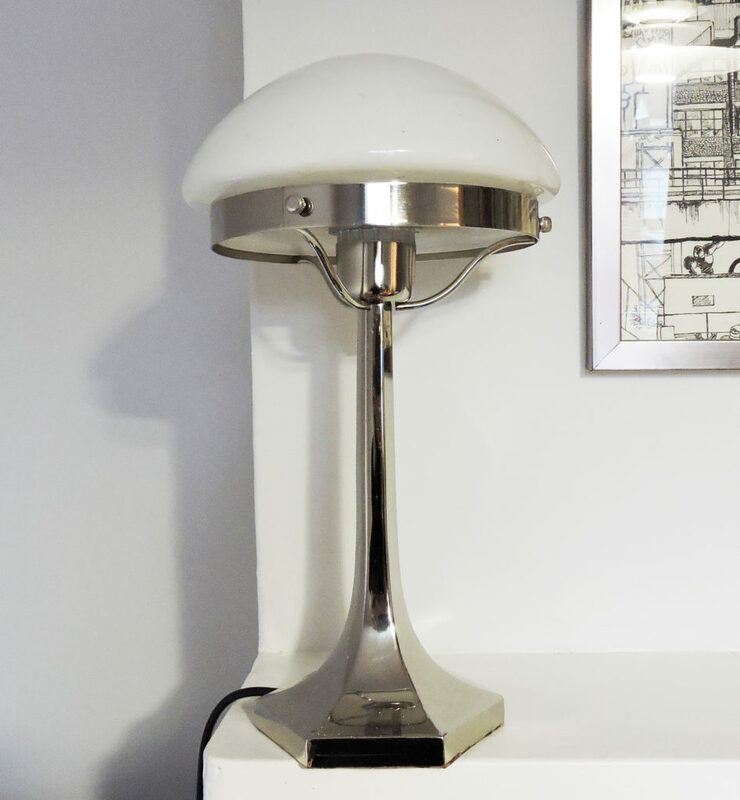 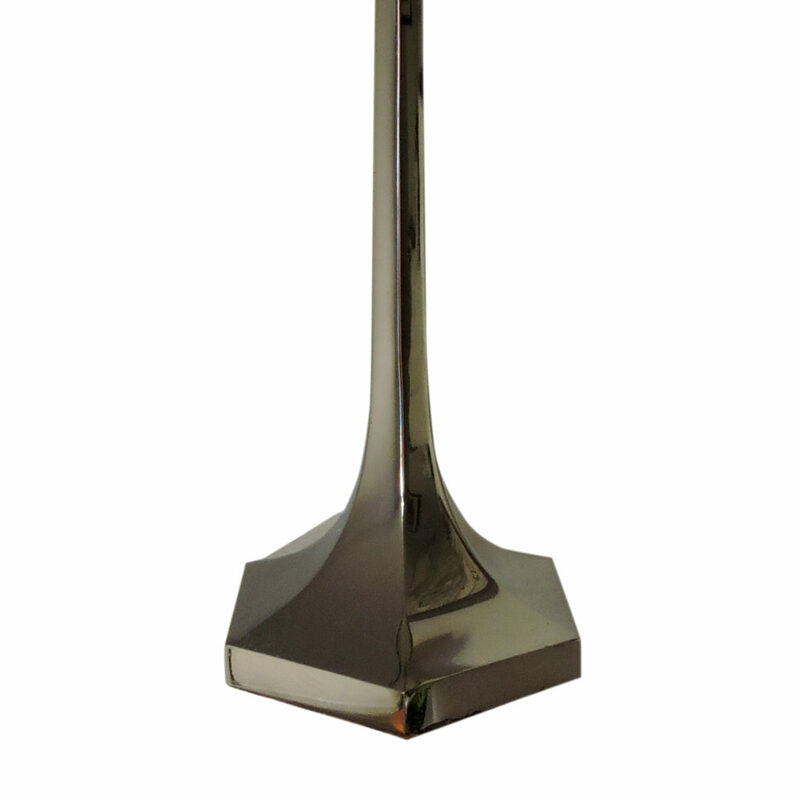 A 1920s Art Deco stainless steel table lamp from Lustrerie Deknudt. 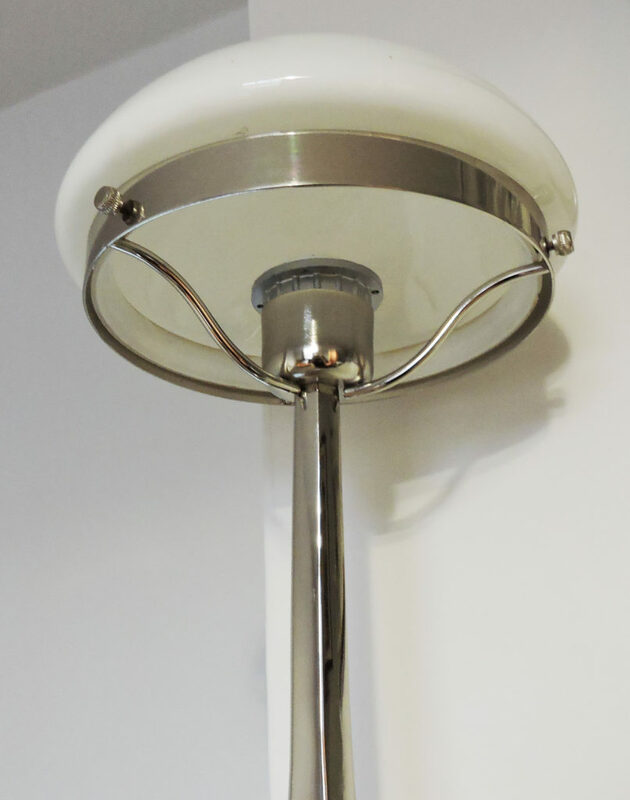 A professional electrician has rewired this piece to be in working order. 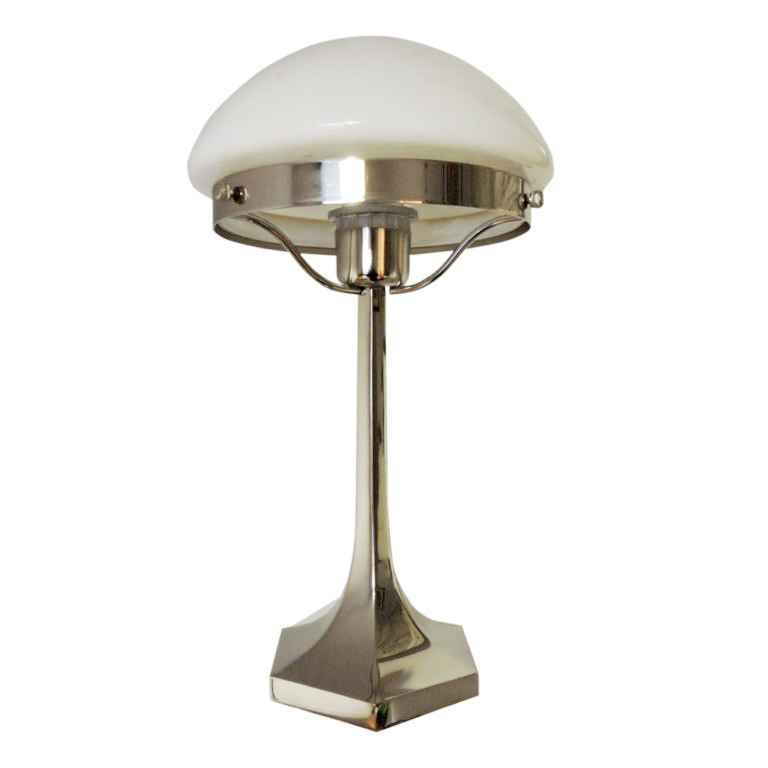 Restoration and Damage Details – Rewired and/or new electrical components Plug type – UK plug (up to 250V).